Brazilian markets are off to a strong start in 2019. And while worries about much needed structural reforms remain, a market-friendly government and supportive fundamental backdrop could make this year a doozy, according to bullish analysts. The year is still young, but so far the realUSDBRL, +0.0107% has gained 3.8% against the U.S. dollar, while the popular Bovespa stock indexBVSP, +0.78% has rallied more than 9%. In dollar terms, the Bovespa is up 12.4% so far this month, versus a 6.6% rise for the S&P 500 SPX, +1.32%according to FactSet. Just last year, Brazil’s contentious presidential election and worries about much needed structural reforms to shore up the country’s fiscal health curbed investor enthusiasm. Economists say the reforms are still needed, but sentiment seems increasingly supportive even before outspoken newly elected President Jair Bolsonaro takes the stage at the World Economic Forum in Davos, Switzerland, next week. 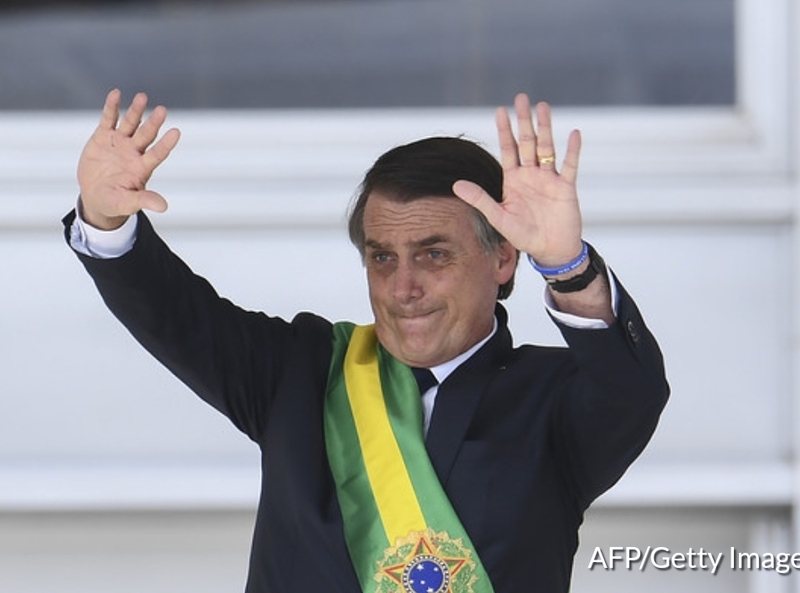 Jair Bolsonaro waves to the crowd after receiving the presidential sash during his inauguration ceremony earlier this month. Bolsonaro is considered a market friendly, notwithstanding his right-leaning social and environmental policy stances and controversial comments during his campaign, which should help boost confidence and foreign direct investment or FDI. Improved FDI will play a big role for the country in 2019 and help trim the current-account deficit, according to Bank of America Merrill Lynch analysts David Beker and Ana Madeira, who identified four other themes: solid economic growth; social security and pension reforms; Bolsonaro’s ability to govern, given that his Social Liberal Party does not hold a majority in Brazil’s National Congress; and steady monetary policy characterized by low interest rates and low inflation. While data in late 2018 painted a mixed picture of the Brazilian economy, “the lower-than-expected inflation added a favorable inertial component to near-term price dynamics, which is also benefiting from lower energy prices,” said Gustavo Rangel, chief economist for Latin America at ING, in a note. “This, together with fully-anchored inflation expectations, all but eliminated the risk of a hawkish monetary policy shift by the central bank during [the first half of 2019], which helps support medium-term prospects for economic activity,” Rangel said. Of course, as was the case with previous administrations, passing social security reforms to improve sovereign fiscal health remains Brazil’s sword of Damocles. The main concern regarding Bolsonaro’s administration is governability, a key factor for the approval of economic reforms,” said Beker and Madeira. The president’s Social Liberal Party (PSL) does not have a majority in either of the houses of Congress and negotiations across party lines could add to the timeline for the reforms to get passed. Nonetheless, Bolsonaro’s administration “has signaled a push for pension reform, which would be credit positive for states if passed,” according to Fitch, and from that point of view, 2019 looks upbeat. Providing critical information for the U.S. trading day. Subscribe to MarketWatch’s free Need to Know newsletter.